I have petition approved from Employer A and i didn't go for visa stamping. Im still in India and never travelled to USA. Is that allowed to transfer to Employer B? No, you had to work for A for a few days to say the least. Now a new employer cannot transfer but they can file a cap subject petition next year. 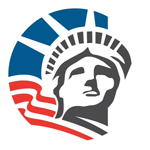 Or you can find a cap exempt employer who can file a h1b petition on your behalf anytime.